Double sided Victorian painted wooden sign. 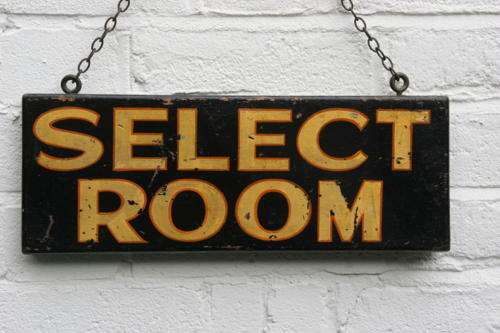 An attractive double sided painted wooden sign " Select Room" On original chain. The letters highlighted in red. Victorian.